Liverpool host Brighton for the final Premier League match of the season on Sunday. 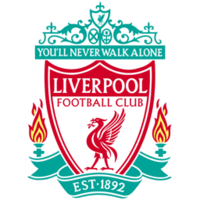 Read the match predictions to find out why Liverpool is the football betting tip to beat Brighton at Anfield. Liverpool require a point from the match against Brighton to ensure they can’t be caught for fourth spot by Chelsea as the Red’s superior goal difference should be enough if the sides finish level on points. Jurgen Klopp will have an eye on the Champions League Final and could use this opportunity to rest a few players. Danny Ings has been featuring lately and is hopeful of playing a part while Simon Mignolet and Alberto Moreno are also in line for a recall. Adam Lallana has been struggling with a thigh problem and will face a fitness test while Alex Oxlade Chamberlain, Joel Matip, Emre Can and Joe Gomez are all sidelined with injury. Liverpool’s form has dipped lately but Jurgen Klopp will want his players to give home fans a big send off by securing fourth spot in style. The Red’s have lost their last two games both of which were on the road, 1-0 v Chelsea in the Premier League and 4-2 at Roma which was all but a dead rubber in their Champions League semi final second leg. However, they are unbeaten at Anfield in the league and have won six of the last eight at home in all competitions. Brighton have won one of the last nine games in all competitions, a surprise 1-0 home victory over Manchester United which sealed their Premier League survival for another season. The 3-1 defeat at the Etihad on Wednesday extended their winless away run in the league to 12 games. Brighton have lost away to the other five teams in the top six and only managed to score in one. Given the host’s unbeaten home record, in which they’ve kept 11 clean sheets, we take Liverpool for a convincing win to nil. Liverpool and Brighton have only met once in the league since the 1980’s when the Reds thrashed the Seagulls 5-1 at Falmer Stadium in December. The last time Brighton played at Anfield was in the FA Cup Fourth Round in 2012 when, again, they suffered a heavy defeat losing 6-1. 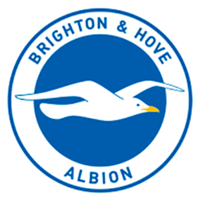 They will be a painful reminder to Brighton defender Lewis Dunk who put through his own goal in both games. So far this season, Liverpool have won 11, drawn seven and lost none of 18 home matches in the Premier League. They’ve kept 11 clean sheets and failed to score three times. Brighton have won two, drawn five and lost 11 of 18 away games, keeping five clean sheets and failing to score 11 times. Compare match odds for Liverpool vs Brighton. Select from the drop down menu to compare odds for Both Teams To Score, Over/Under and Half Time/Full Time markets. Get the best odds for Liverpool vs Brighton and improve your betting results. Open a new account with online bookmakers and get free bets. Bet on Liverpool vs Brighton and receive a free bet or get a free bet on Liverpool vs Brighton.